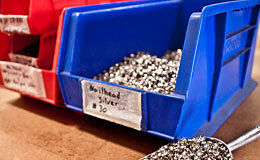 The core of JC Industries success begins with the Product Development Team. The key to our success is our experienced management staff with over 80 years of combined experience. 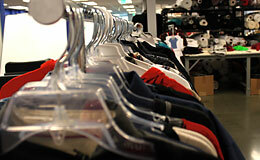 Our team of product developers utilizes all of their talents in design and development producing quality garments. 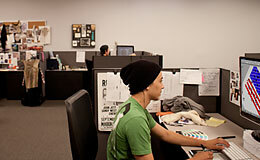 The team works by side with our clients design staff to offer full support. 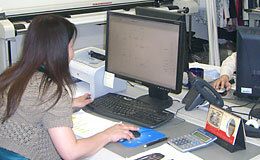 The support of our team includes but is not limited to design concepts, forecasting, and trend reports. Our design team is distinguished by their design and technical expertise. 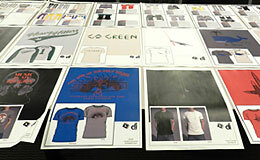 The creative core is made up of 7 designers representing about 5 different backgrounds and nationalities. 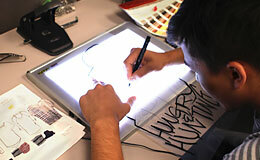 All the designers have trained at design and or art schools throughout various parts of the world. 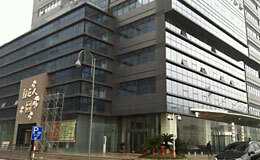 Blending diverse and worldly design skills, JCI is able to share their wealth of knowledge. 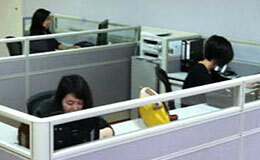 Thereby ensuring clients receive the most effective and professional service. From sourcing, to first/second proto, to line final the JCI design team will meet your deadline and expectation. 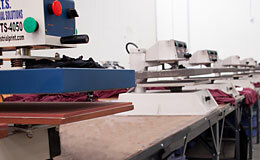 From sketch to paper pattern, to cut and sew, our sample department is efficient in all aspects of garment construction. Our sample room is state of the art offering digital, grading and transmitting patterns, etc. The Graphic Arts team is comprised of diverse group of creative people whose artistic scope includes street wear, motto clothes, kids, toddlers, juniors, missy, surf, skate, and Americana. The list goes on there is no limit to the creative ability the JCI Arts Department. Rather than twiddling thumbs waiting to receive art direction from our clients; our team remains proactive continuously engaging, and submitting art concepts to our clients. 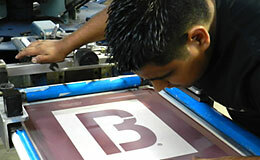 Cracking ink - Cracking Printing are inks that intentionally cracks on the surface of the garment after drying. Discharge inks - Discharge printing uses lighter color inks onto dark background fabrics, the result is these inks leave a much softer texture. Distressed printing - Giving the worn and torn look to a screen print. Expanding ink (Puff Printing)-Expanding ink, or puff, Raises the print off the garment, creating a 3D feel and look to the design. Flocking - Glue based print then flock material is applied for a velvet touch. 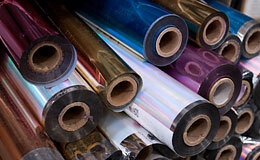 Foil-Glue based print then flock material that looks as if it has a reflective/mirror look to it. 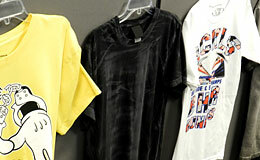 Reflective - Reflective inks are use more in Sports/ Active/ Action apparel a shiny ink that reflex's when light hit it. Four color process or the CMYK color model-Four color process is when the artwork is created and then separated into four colors (CMYK) which combine to create the full spectrum of colors. 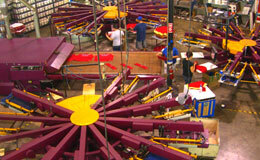 It allows us to print a large number of colors. Glitter/Shimmer - Glitter or Shimmer ink is when metallic flakes create a sparkle effect in the ink. 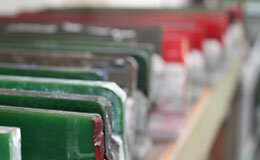 Gloss - Gloss occurs when we apply a clear base over prior printed inks that create a shiny finish. 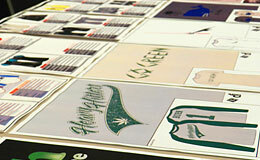 Metallic - Metallic inks are a type of reflective type ink. 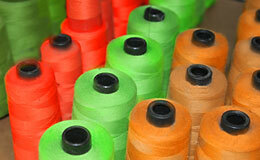 Nylobond - Nylobond for printing onto technical or waterproof fabrics. PVC and Phthalate Free - PVC and Phthalate Free All of the benefits of plastisol but without the two main toxic components. Water-Based inks - Environmentally freely printing. When you are looking to add a little bling or just want to make the garment more special JC Industries can assist with a wide variety of embellishments such as: Nail Heads, Rhine Stones, Heat Transfers, Embroidery, and beyond. Being vertical has its advantages. To sum it all up, we are a "1 STOP SHOP". 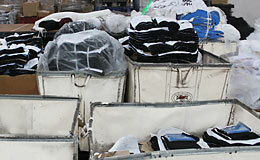 We produce the production patterns, cut, sew, silk screen, embellish, QC, tag, bag and ship all under 1 roof. 6 to 8 weeks pending your approved sample. We have a strong presence overseas; with an office located in Ningbo, China we are able to produce cost effective production. Having relationships overseas for the last 20yrs allows us to offer concrete delivery times. Our Ningbo office is fully staffed with the following: sample department, pattern makers, samples, cut/sew, productions manager, QC, and QC manager on site. A fully staffed overseas office provides our clients peace of mind and the confidence that clear is communication taking placing. 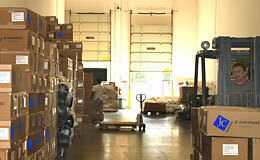 Our Imports programs can be turned around within 12 to 14 weeks.